On the conclusion of K2016, event organisers say the 230,000 international visitors that attended, as well as the number and volume of deals “far exceeded” expectations. Visitor number surpassed the 2013 edition of the trade fair, when 213,000 attendees visited. This, says Messe Dusseldorf, shows the plastics and rubber industry “is in great shape”. “Just the sheer number of experts visiting K 2016 impressively confirm the appeal and importance of the trade fair – since this number is once again clearly higher than at the previous event in 2013,” commented Werner Matthias Dornscheidt, President & CEO of Messe Düsseldorf. The 230,000 visitors came from 160 countries, with Asia accounting for the largest group among foreign guests. Nearly 30,000 experts came from South, East and Central Asia, an increase on 2013 numbers. Guests from India again constituted the biggest group, but the number of visitors from China, South Korea and Iran also rose significantly. Almost on a par remained the proportion of visitors from the USA and Canada with some six of all foreign visitors. Regarding guests from Germany’s neighbouring European countries, Italy dominated with over 10,000 visitors followed by the Netherlands (some 9,500), France (some 6,700), Belgium (some 6,300), Spain and Poland (some 5,000 each). There was reportedly “perceptibly stronger interest” taken by Turkey, Hungary and Greece. The show was characterised by the many deals concluded onsite, with 3,285 exhibitors reporting that visitors were extremely serious about their business negotiations and showed a pronounced willingness to invest. "I have never seen such a vast number of decisive customers willing to buy at a trade fair before,” commented Ulrich Reifenhäuser, Chairman of the K 2016 Advisory Board. The seriousness of visitors to invest was also felt by UK exhibitors at K 2016. 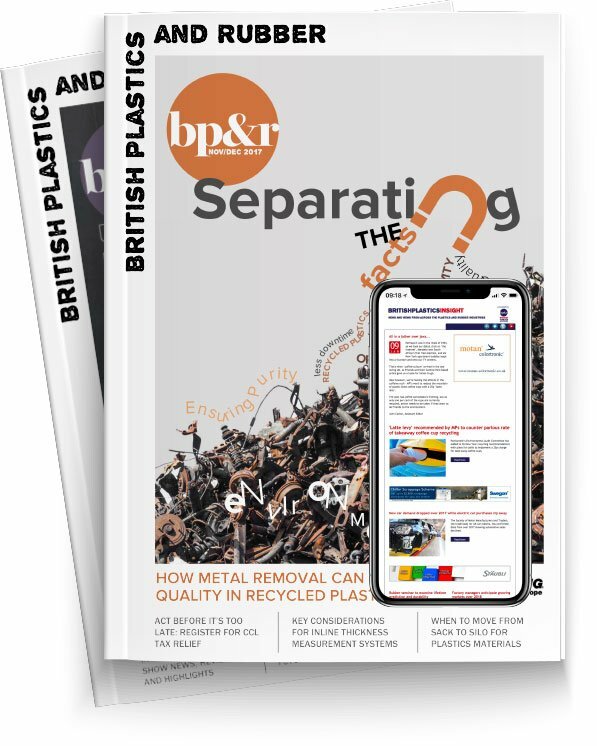 Speaking to BP&R, Stephen Hunt, Membership Services Director at the British Plastics Federation, said that exhibitors on the UK pavilion had reported that the show had gone extremely well. The next K in Düsseldorf will take place from 16 to 23 October 2019. A full roundup of K 2016 will appear in the November/December edition of BP&R.